Are you still with us?! I didn’t think this was a big release until I started scheduling it on the blog 😉 Welcome back to day four of the product introductions! 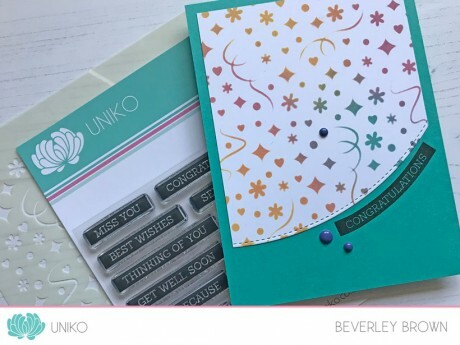 Today the Design Team and myself are here to introduce two new Uniko Stencil Designs, Party Confetti and Stylised Floral. Hopefully you have hopped along with the Design Team, I’ve struggled to keep up with work over the long holiday weekend here in the UK. The lovely sunny weather has distracted me to spend time with the Beans and hubby! 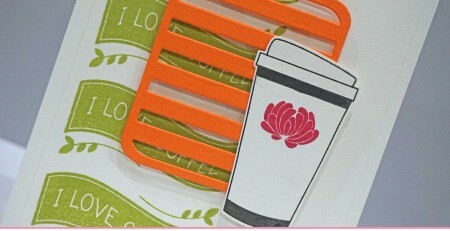 Anyway, I am finally here to share a couple of cards using 2 more Uniko Stencils being released on Saturday 12th May. 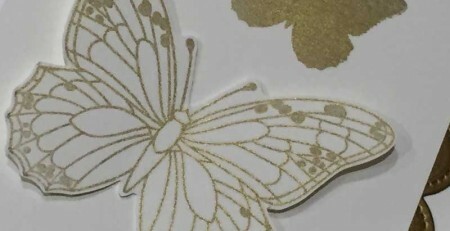 As you can see I kept my card really simple as I wanted the Stylised Floral design to take centre stage. This is another design way back from my Uni days and I can’t even remember how it came about! I just stubbled across it in my disorganised archive of designs! 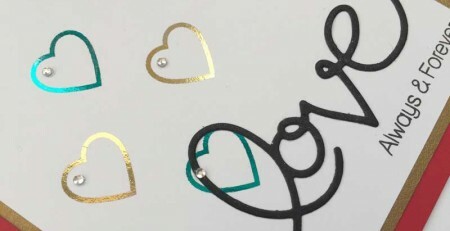 If you like the Background Blocks Party Confetti clear stamp, then you might just like this stencil too 😉 This stencil is a larger version of the design with just a few little tweaks to make it work for a stencil! 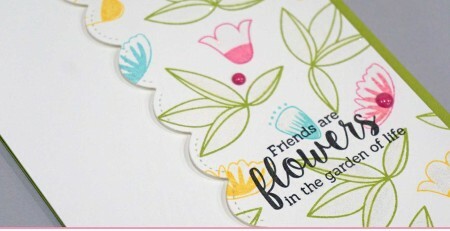 Again I used my Distress Oxide inks to colour through the stencil before trimming and die cutting a curved edge. 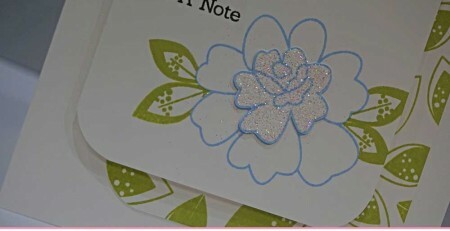 One fun thing about clear sentiment stamps is their ability to bend and shape them to fit in with a design. 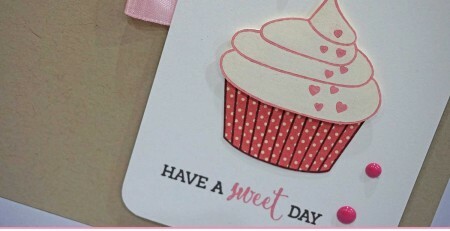 I’ve not tried this with the Simply Said Blocks stamps before (that I can remember), so I thought I would give it a go with the Congratulations sentiment. With it being the longest of the stamps in the clear stamp set I thought it the best stamp to use. I am rather pleased with how it turned out I added a trio of my favourite enamel dots to finish the design off too. 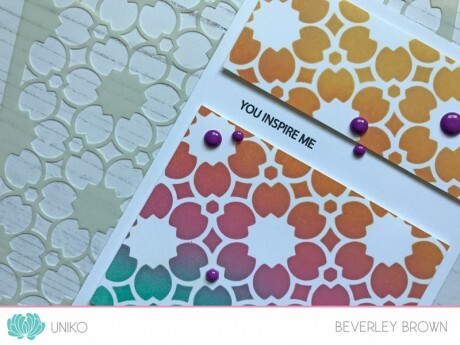 Another stunning mix of colours Bev and particularly swooning over the clever design of the stylised flower stencil. 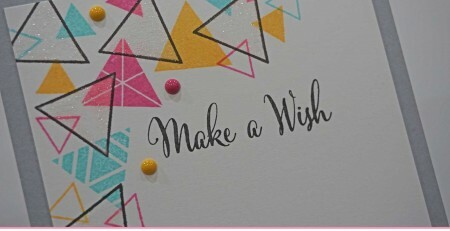 That little divide, with the mini sentiment makes a super eye-catching look. 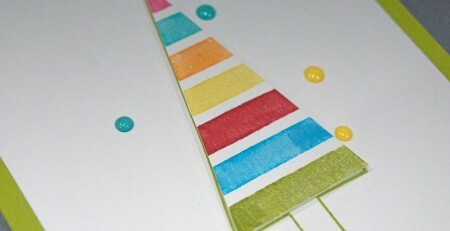 Obviously the party confetti is equally stunning in a similar colourway and fun curved edge to the panel. Completely captivate by both cards, Bev! You’ve really given the stencils – in their gorgeous colours – star-of-the-stage billing! Yes: treat yourself to more Distress Oxides!! 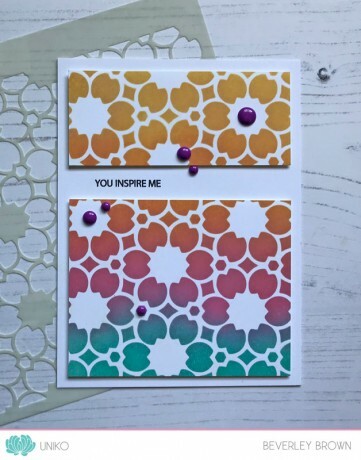 I like the colors on these wonderful stenciled cards. These designs are so beautiful ! !